This course teaches you to promote social inclusion, good mental and physical health and self-determination through developing your skills, knowledge and attributes. All learning is grounded in a strong evidence base of integrative health and social care modelling. Our placements are varied, offering you the chance to create a future career that will be rewarding both for your personal and professional advancement. Success on this course makes you eligible to register as a learning disabilities nurse with the Nursing and Midwifery Council (NMC). Third year BSc (Hons) Learning Disability Nursing student Jenny Ash is on a quest. She’s doing everything she can to prepare herself for a career helping those with learning disabilities. During this module you’ll explore key principles of quality improvement. You’ll critically evaluate and apply service improvement methodologies and change management models, and develop your knowledge and skills in becoming a leader in your practice area. You’ll undertake a non-credit bearing practice module to enable the development of requisite clinical and interpersonal skills needed to practice effectively as a learning disability nurse. In this module, you’ll study physiology in relation to the growth and development of people with learning disabilities. This will include the impact of maternal and pre-natal health on physiology, growth and development. In this module you’ll engage in pertinent debates related to emerging policy trends and the wider health and social care context as it impacts on people with learning disabilities and their identified circles of support. This module will extend your knowledge of research approaches and methods, enhancing your ability to be a critical consumer of research evidence. This module provides underpinning knowledge and skills for students who wish to complete their dissertation. This non-credit bearing module consolidates and further develops your clinical and inter-personal skills in the context of implementing evidence-based practice. This module provides the opportunity to develop critical insight into complex needs experienced by people with learning disabilities throughout the lifespan, in the context of their identified circles of support. This will include contemporary approaches to supporting syndrome-specific issues, physical and/or mental health needs, and behavioural issues. This module builds on your knowledge of the issues impacting on the inclusion of people with learning disabilities and offers evidence-based interventions to meet the needs of this group. The module will enhance your specialist communication skills to work in partnership with individuals with learning disabilities, their identified circles of support and the wider multidisciplinary team. The course will enable you to develop a wide range of employability skills through the emphasis on a vocational approach to teaching which leads to a professional qualification leading to registration with the Nursing and Midwifery Council (NMC). There is an increasing body of research that shows the need for learning disability nurses as a specialist resource to address health inequalities experienced by people with learning disabilities. The course will give you the specialist knowledge and skills to work in a wide range of services, and the confidence to work collaboratively with people with learning disabilities, their families and carers, and other professionals and agencies. As a learning disabilities nurse you would work with people of all ages to give them the skills and confidence they need to live as independently as possible. You'd be working as part of a multi-disciplinary team and be responsible for co-ordinating care plans with other healthcare professionals, as well as monitoring progress. A learning disabilities nurse would be responsible for making an initial assessment of a patient's health and social care needs. Day-to-day duties would be likely to include help and encouragement with tasks such as personal hygiene, dressing, using public transport, shopping, leisure interests, making and attending appointments, and finding a job. Learning disabilities nursing also involves campaigning on behalf of those with learning disabilities, supporting the agenda for equality and trying to improve healthcare services for those with learning difficulties. Nurses usually work around 37.5 hours a week, but this can include evenings, weekends, night shifts and bank holidays due to the need to provide 24-hour care for some patients. Newly qualified nurses can expect to earn around £21,000 a year but with experience, this can rise to around £28,000. Those working as advanced practitioners, clinical specialists or managers can earn up to £40,000 and nursing consultants can earn up to £70,000 a year. Graduates of our BSc (Hons) programmes have gone on to work in NHS services, independent and voluntary sector services for children and adults, and in social care settings in managerial roles. Successful graduates of the PgDip can top-up to MSc in one year and will be qualified to study a range of further specialist postgraduate pathways. With additional experience, advanced practice is available at Masters level with the potential to progress to doctorate studies. Once you are a registered nurse browse our online CPPD prospectus to find out what courses are on offer to help with your professional development. The learning disability nursing programmes at LSBU have a long history of partnership working with agencies in the NHS and independent and voluntary sector. 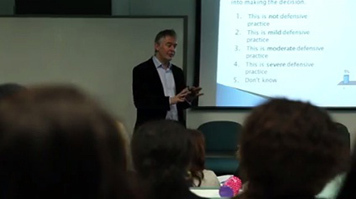 The Professional Lead for Mental Health and Learning Disabilities at the Department of Health England is a frequent guest speaker who inspires Learning Disability nurses to influence and innovate. Every student will spend 50% of the course on placement. You'll have the opportunity to work in partnership with individuals with learning disabilities and their families using a health mentoring model. Alternatively you can work in partnership with community based organisations on projects where all parties increase their awareness, understanding and valuing of their roles, using strength based approaches. The placement aim is to provide a broad range of experiences working with children and adults with learning disabilities in a variety of settings. This will enhance your knowledge and experience of the range of challenges people with a learning disability may face on a daily basis and what can be done to assist not only the individual but also their families. You'll also gain insight into what is available to support workers and organisations providing services in the areas of physical and mental health, complex care needs, communication, behaviours of concern, sexuality, personal care and a range of other areas. You'll be expected to work as an independent adult learner, working alongside academic staff to expand and extend your knowledge, skills and attitudes as a critical scholar in the field of Intellectual Disabilities. You'll be allocated a personal tutor, a cohort leader, and a course director, plus clinical mentors, and link lecturers whilst on placement. The course makes use of the virtual learning environment MOODLE, an interactive based system for accurate and rapid information sharing, so course materials are available whenever you need them. A range of learning styles are employed, including visits from service users and their carers, to ensure the course remains contemporary and applied to real life situations. A Bachelor’s degree with a minimum 2:2 classification. Candidates without a health or science related degree are required to complete a Life Sciences work book package to satisfy the Life Sciences element of the APL portfolio. Those whom English is not their first language must achieve a minimum score of 7.0 overall or equivalent, with not less than 7.0 in the listening and reading sections and not less than 7.0 in the writing and speaking sections for the International English Language Test Score (IELTS) at the time of application. Falk-Rafael, A., C. Ward-Griffin, et al. (2004). "Teachingnursing students to promote the health of communities: A partnershipapproach." Nurse Educator 29(2): 63-67. Goddard, L.,Mackey, S., & Davidson, P. (2010). Functional clinical placements: A driverfor change. Nurse Education Today, 30, 398-404. Kirkham, S. R., C. H. Harwood, et al.(2005). "Capturing a vision for nursing: undergraduate nursing students inalternative settings." NurseEducator 30(6): 263-270. Parks, M (2014) Caring for a child withprofound disabilities: a mother's story. Learning Disability Practice, 15(5): 27-30.